I know we’ve posted a number of responses to Leithart over the past several weeks, but his work is actually quite interesting and (we think) worthy of response. If anything, we respond out of respect for someone who’s engaging in his theology. Time was when a Protestant convert to Rome was considered edgy and shocking. Now it's a fad, and the cool, edgy thing to do is to stay put. Maybe my sample size is really, really small, but I honestly haven’t yet met a convert to Rome (or Orthodoxy, one must also assume) who’s done it to be “edgy and shocking.” I’m sure there are some out there, to be sure, but just about every voice lifted in articulation of such a conversion is not one of rebellion or slavish fad-following. Rather, these converts actually seem to believe they’ve found the true Christian faith. In any event, I think Leithart’s also got a sampling problem going on. Most converts—statistically—away from Protestantism to one of the historic communions convert because they’re marrying someone who’s already a member. They also don’t tend to talk much about it. But even if one were only to look at those who convert out of personal conviction rather than marital reasons, there are hardly enough actually happening to qualify them as a “fad.” Indeed, if anything, the fad is to “stay put,” because people really do tend to dislike change, even religious change. I have to confess to finding Leithart more distressing the more we discuss him. He either lives inside a very, very small bubble which he mistakes for the great wide world (in which case why do we take him seriously), or he’s very bald-faced in his rhetorical callousness (in which case why do we take him at face value). Both yesterday’s and today’s quotes from him expose a surprising amount of certainty on his part to not only know but to understand the intentions and motivations of converts out of Protestantism into Catholicism (let’s face it, he mentions Orthodoxy in passing, at best, since like most Protestants, he seems to be quite ignorant of the substantial differences between Rome and The East). If his comments are genuine, it is bizarre that someone so well educated and so prominent as a voice for his sect would be willing to speak so boldly based on what must be either a highly localized trend, or a freakishly small size. Given how boldly he seeks to embrace contemporary philosophies, you’d think he’d be aware of how loudly post-modernity warns against mistaking personal anecdote for generalizable evidence. If his comments are intended simply to incite and provoke, one is tempted to call his behavior “unChristian”, and it becomes difficult to understand why we would bother to engage a Troll. If his comments are based on what he assumes is going on, perhaps because he cannot imagine more genuine reasons to convert, this compounds yesterday’s arrogance to a genuinely disturbing degree. Certainty built on ignorance is one of the most dangerous forces of the fallen human condition. Just in case he’s listening: ONE OF THE FIRST THINGS THAT MADE ME SEE THE PROBLEMS INHERENT TO PROTESTANTISM WAS THE ARROGANCE OF CALVINISTS. My motivation was neither to be edgy/trendy nor to to embrace some “ren faire” like existence as a Russian peasant outside of time. My motivation was to FIND GOD and HIS CHURCH and with only a rudimentary amount of training church history and hermeneutics (at a Protestant college) it became quite clear to me that schism made finding either God or his Church IMPOSSIBLE. Maybe he should stop spending so much time convincing himself he knows what everyone else is doing and why they’re doing it and spend more time coming up with better reasons to do what he’s doing? If he’s “staying put” merely to be edgy, that’s offensively cynical. If he’s doing it to chase some endlessly unfolding church of the future, that’s Biblically ignorant. If he’s doing it because his feelings get hurt by historic communions taking The Cup more seriously than he’s willing to do, he might want to think twice about his characterization of us as “childish”, because he needs to grow up. I find it simply impossible to respect what he’s trying to do. One of the assumptions I always try to make when addressing people of other religious groups is that they are both smart, sincere and educated. I also try to see how their worldview is itself a functional, coherent theological and philosophical world for them. To be honest, I think Leithart is and has all of these things. Of course, I disagree with him, but it at least seems to me that in his sector of the Reformed tradition, his syncretistic approach to other Christian traditions somehow works. And why shouldn’t it? It’s what much of the rest of the Evangelical world is already doing, though usually not with any reference to the Fathers or the catholic traditions. What’s wanting is of course ecclesiology, which is why that will continue to be a major topic on this weblog. In any event, I think it’s worth paying attention to any Evangelical who’s interested in the Fathers and even in modern Orthodox theologians. And who knows? Perhaps our engagement of his writing will lead even more who’ve sat at his feet to come sit at the feet of the Fathers. I also try to make those “benefit of the doubt” type assumptions, which is precisely why I find Leithart so disconcerting. If his statements about converts to Catholicism are made from a well-informed, sincere position, then I must conclude that he is being deliberately inflammatory with his characterizations because he _knows better_ than to claim we all want to be Russian peasants or that we all want to be “edgy” or that we’re “childish”. I’d actually be more comfortable to discover he’s speaking from some kind of ignorance than to discover that he genuinely believes there’s nothing problematic (for a Christian) about being intentionally insulting. But, as I said, my experience has been that Calvinists typically have no problem with being insulting towards those they look down on… I mean disagree with. I struggle to find much of a useful response beyond endlessly repeating “the fruit of schism is rotten”. FWIW, having been a part of Leithart’s ideological circle and remaining in dialogue with friends and family still within it, it seems to me that they are indeed sincere and trying to be intellectually honest, but tenaciously hold to the premise that “whatever the Church is, we’re part of it.” Which rather skews everything, especially ecclesiology and history, and results in serious offense whenever someone abandons them for the true Church (whether the convert in question believes it to be Rome or Orthodoxy). That is kinda how I feel. I too find his work problematic, and as someone with some family members still stuck in Neo-Calvinism, I worry about their souls. I really do. I commented on the other thread (not knowing the conversation moved here) about how I personally (and Lord, have mercy on me for this) find his stock-sure understanding of my motivation particularly offensive. I came to Orthodoxy honestly, because I KNEW there was something missing in the Western church, particularly my fundamentalist/Evangelical heritage. How dare he assume I just left the faith of my entire family because I wanted to go play with childish and quaint religious toys. If he knew how hard it was for us to adopt them, grow comfortable with them and understand how wrong we were, he wouldn’t be so glib as to assume we do it just to be cute. I tend to believe the comment above about the departures from his circle resulting in “serious offense” though I would amend it a bit. I think we scare the pants off him. Because, when we convert, we should cause him to question. We diminish what we fear–that’s human nature. So because he fears we may be right, which would come at great cost to himself, he must diminish our choices and especially our motivation. It’s really a rather juvenile approach. What the Reverend Leithart is doing is analogous with trying to keep passengers on a sinking ship from escaping certain death by basically saying “the lifeboats aren’t really necessary, there’s no need for a lifejacket, just stay on the boat and pray and have faith it won’t sink and cause your death!” Problem is, on the ship that is Protestantism/Evangelicalism, there’s no one on duty in the wheelhouse, no one is handing out life jackets, the orchestra is playing “Shine Jesus Shine” as the ship sinks, the rudder is broken, and there’s a gaping hole in the boat. If the Reverend Leithart wants to go down with the Evangelical/Protestant ship bc he’s too proud to admit the ship is sinking and too bound to “Protestant distinctives” to admit the whole exercise in futility that is Evangelicalism is a disaster, that’s his choice… but to attempt to keep others on that sinking ship with him in the name of a novel, discredited ideology is irresponsible and destructive to the souls of those he purports to serve. Theology is not some intellectual game ppl play to amuse themselves; its life and death, blessing and cursing, knowledge vs. ignorance, Light contrasted with darkness, Truth opposed to age-old error…its seeing the God Who is fire for Who He is, and experiencing Him the way He wants to be experienced and revealed, instead of what we all too fallible human beings with our faulty presuppositions and ignorance and intellectual pride impose on His Being and Person. For the sake of potential clarity, Leithart was responding to a series of conversions, mostly by graduates of Westminster Theological Seminary California, of PCA and OPC pastors to Rome. The hub for this thing on the Catholic side is the Called to Communion site. Most recently, and probably prompting that from Leithart, was the conversion of Jason Stellman. He published a reflection on his journey yesterday on the CtC site called ‘I Fought the Church and the Church Won’, which appears to have since been taken down. A lot of people in the Reformed community saw his conversion in particular as some kind of massive betrayal, so it may have been pulled down due to some of the comments that ensued. My question is, with Rome so eager to intellectually and spiritually engage with these protestant pastors, where are our Orthodox, corresponding structures? One hopes that this website is at least a small part of that. I sent him a message back when he first resigned his pastorate. And one does hope. We’re fighting an uphill battle with the Reformed, though. They come in expecting to have an intellectual discussion about doctrine over cigars and booze, and that’s usually not what they’re treated to by the average Orthodox priest. Ever since Scott Hahn, in his spiritual biography, characterized the EO joining the Orthodox Church as ‘a bunch of anti-intellectuals joining another group of anti-intellectuals’ we’ve been a bit deep-sixed when it comes to the dangerously overeducated. Rome is better equipped to playing the game they’re used to, and by their rules. This is precisely what is wrong with trying to use Twitter as a primary source of communication rather than merely as a “gateway” system which draws people into more meaningful sources of discourse. I’m sorry Dr. Leithart’s friends are taking their ball and going home, leaving him with no one to play with, but that doesn’t justify characterizing returns to historic communion _in general_ (which is what his Tweet does) as being motivated by some kind of either cultural status or counter-cultural status. If he thinks this _particular_ group of converts are so motivated, then _say so_. If 140 characters doesn’t make that reasonable, then don’t say anything. Stellman was the one responsible for putting Leithart on a heresy trial within the North west region of the PCA. And so his Tweet probably had something to do with that. If so then it’s understandable why he wanted to say something. The timing of Dr. Leithart’s “tweet” (sorry for the quotes–I’m just too old to write “tweet” without them) is very possibly related to the very recent announcement that a Seattle PCA (Pres. Church in America) pastor, Jason Stellman, has resigned as pastor and is converting to Roman Catholicism. His conversion has produced quite a shockwave. Mr. Stellman was one of the PCA elders who prosecuted Dr. Leithart in his recent trial within the PCA denomination. Leithart gets a lot of flack here (and deservedly so, this is an Orthodox blog after all). What I will say in his defense is that it is a good thing for people like him to be out there in the Evangelical world doing what he does. The average Evangelical, like myself, wouldn’t have known anything about Orthodoxy if it weren’t for people like him. No one from the Orthodox world sought me or any of my friends out, we sought out Orthodoxy after being exposed to Orthodoxy by people outside of Orthodoxy. 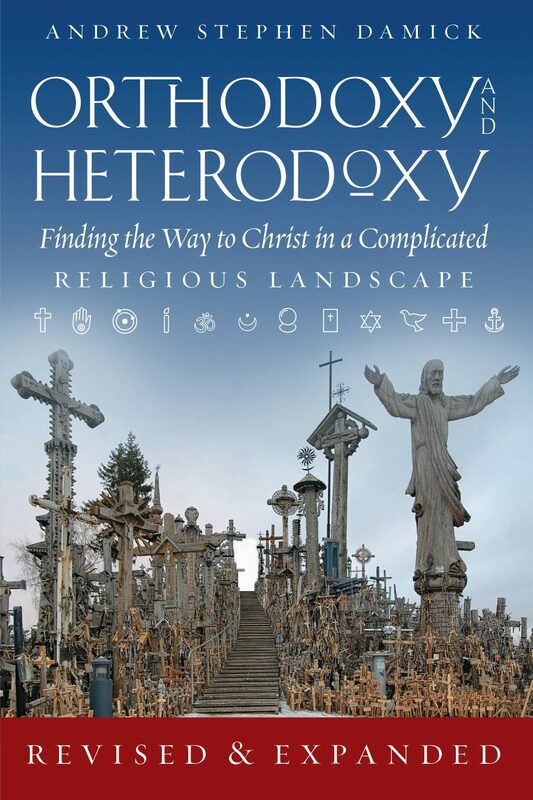 Leithart is good in this regards because even though he sees Roman Catholicism and Orthodoxy through the lens of chronological snobbery, at least he is a voice within Evangelicalism that tries to interact with the Sacraments, Tradition, and the Fathers (even if he is unwilling or unable to go where that may lead). Personally I’m not unwilling to see where interacting with Orthodoxy is leading me because its probably to Orthodoxy. And, like me, at least there are others that, standing on his shoulders, come to see a richer spirituality, deeper theology, and a walk with God that promises not just some sort of forensic justification but actual union with God. I am thankful for Leithart and others who continue to lower the boat into the Bosphorus and hold people’s hands as they climb aboard. Keep up the good work, I say! Exactly. I at least try (in my better moments) to do apologetics in a Justin Martyr-like fashion. He of course went head-to-head with Jews, pagans, etc., but he also saw in all religions and philosophies the spermatikos logos that could potentially lead people to true faith in Christ. So as long as Leithart is interested in Orthodoxy, I think the Orthodox should be interested in him. It was a Presbyterian pastor who taught me to pray, in part, by teaching our class about Catholic and Orthodox prayers and practices. I will always be thankful to and for him. Unfortunately, this seems to only allow replies down to about three levels, so I have to hope that everyone who has replied is subscribed or they may never see these comments. Rebecca: An awful lot of deeply evil people (no, I’m not saying Leithart is deeply evil) were sincere and trying to be intellectually honest. Those things aren’t virtues in and of themselves. Neither is taking out hurt feelings _on strangers_ because he can’t handle the fact that people he likes disagree with him. Almost every Christian I’ve known (my own age) from high school, from college, and from the years after _isn’t even a believer anymore_. It hurts. But I don’t go around writing diatribes about how “childish” it is to become a quasi-pagan quasi-universalist on the basis of my limited experience with my own friends. The problem is that Leithart is using public spaces to have private conversations and he’s using bird shot and a sawed-off to try to hit a biathlon target. That’s not acceptable. There can be no collateral damage in apologetics. If he wants to complain about Jason Stellman, that’s fine, but it isn’t fine when doing so wounds complete strangers in the process. The best way to prove sincerity and intellectual honesty is through thoughtful clarity and precision of language, nor sardonically wry, ironic and cynical tweeting. frstevedeyoung: I have to disagree. I’m highly over educated. It was my education (at a Protestant, liberal arts college no less) that convinced me that Orthodoxy was the true church. But if someone thinks that joining the EOC is about grabbing some long document which enumerates a list of rational assertions next to which they need to be able to make a tick mark in order to convert they aren’t ready to convert yet. Because that’s not what the Orthodox faith is and we can’t twist it into that to draw in Calvinists. That isn’t a failing of the EOC and it isn’t a problem of being over educated. That’s people mistaking ideology for faith. God has to break that for them to come in. It took me fifteen years to sufficiently be broken down to where I was genuinely ready. But we cannot blame “bad press” from the opposition nor can we blame an uphill battle, nor can we blame priests who aren’t ready to meet these people on their own turf. Their own turf is the very thing they need to be ready to abandon. landsperson: I’m afraid I can’t agree with this, either. The ignorance of church history of the contemporary Protestant is not the fault of the Orthodox. Protestant seminaries teach mis-information which gets disseminated from the pulpit. If lay people aren’t willing to educate themselves about their own belief structures they need to stop justifying Protestantism on the basis that Catholicism (supposedly) keeps people intentionally ignorant. 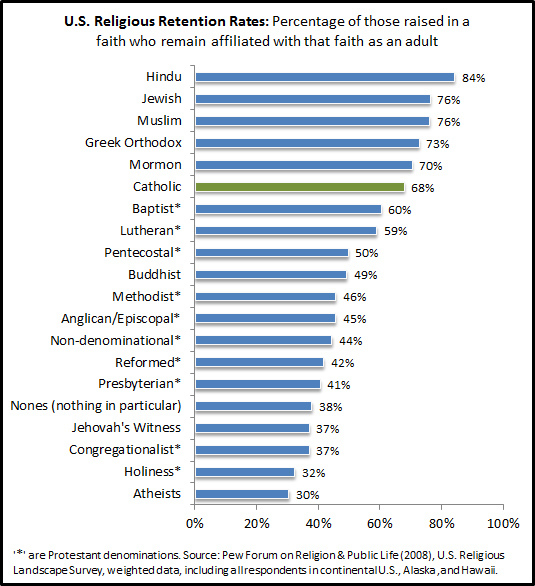 The inability of a faith which represents at most 1% of the population (Orthodoxy) to “reach out” to 50-75% of the population (depending on whose numbers you believe) is not a failing on the part of that 1%. In the past 20 years, the EOC has made enormous strides forward to evangelize the West. Prior to that, it simply wasn’t ready. In many ways it still isn’t ready. But you can’t blame someone’s immigrant grandmother who had enough of a problem learning English and putting food on the table for having not taken the time to try to put Billy Graham back on the right track. Vincent & Patty: Yes, God can use Leithart’s error and ignorance for a greater good, but that doesn’t justify his ignorance or his error — especially when his tactics become openly hostile. Be grateful to God for his mercy and his power, not to Leithart for his compulsion to defend his error against the truth faith. Everyone would be better off if Leithart were speaking the Truth. If he is bringing people into Orthodoxy in spite of his desire to prevent that very thing just imagine how much more effective he could be if he were to stop defending a disease like schism and become an apologist for the true faith. Not that I want someone willing to be sarcastic, ironic, cynical and prone to rhetorical flourish defending Orthodoxy, but one would hope he would realize such tactics are unnecessary when your truth is God’s truth. This is amusing only because my daughter is 10 years old. “Childish toys” indeed. As Rebecca suggested above, it seems Protestantism in the West are in mortal fear of rapid decline over the coming years. Does anyone have any statistics/predictions to guess how Protestantism is doing at the moment or how it will pan out over the next few decades?